Advertising is still big business and getting bigger than ever! Media marketing teams are devising new methods and budgets once again breaking segments into print, web, tv and now mobile ad space too. As people’s viewing habits are evolving with new technology, so too are advert marketing practices. Many other forms of advertising and hype were flowing all last week and especially at the weekend in the mega build up to the big game. A real money spinner for anyone with a viable marketing idea to jump on the bandwagon. 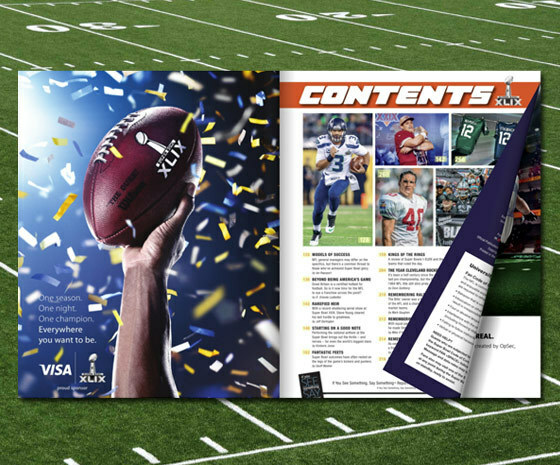 The Super Bowl sees the opportunity to reach a mobile, online audience by each year producing a digital program in a magazine form powered by 3D Issue digital publishing software. See the official Super Bowl magazine below, click on the image to launch the program on whatever device or computer you are on. The full page advertising is equally as impressive as the features throughout this publication. A popular publication as it acts as a souvenir to accompany the game. For sentimental reasons, a much-cherished document now can be available widely in digital form, pleasing many fans. 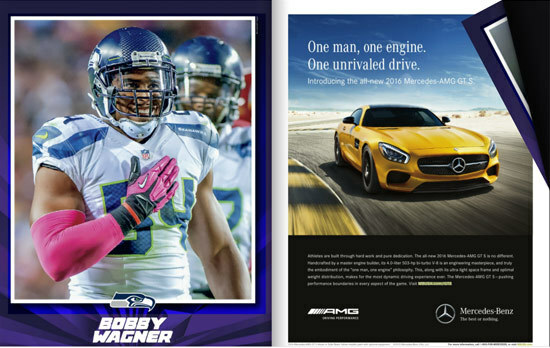 Full page ads include Visa, Mercedes Benz, Bridgestone, Pandora, Bud Light, to name but a few. In a digital publication, advertising can be interactive, this means it can have video, audio, animation, web links and much more. Publishers can also have the advanced option of publishing to an app for all their issue. The mobile marketplace is hungry for software to relate to this market and you can be sure 3D Issue delivers on this. If you have any questions simply contact info@3dissue.com.